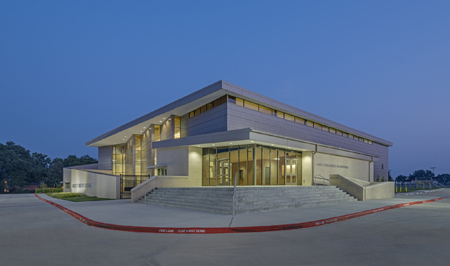 In 2013, the Lamar Consolidated Independent School District (CISD) Board of Trustees approved a plan to build a competition swimming facility on the previous site of Lamar High School’s baseball field, as the baseball facilities were being redeveloped at a new location on the campus. 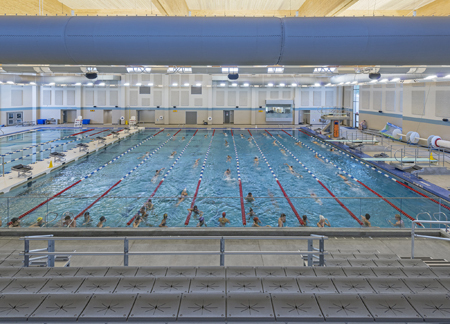 The new natatorium will support many high school and youth swimming programs. Funding for the natatorium was part of a $249 million bond plan earmarked for the school district which also included construction of several new schools, renovation and improvement to more than two dozen existing buildings (including 22 campuses), the current agriculture barn, and various career and technology education facilities. The bond package was part of the district’s 10-year facilities plan based on projected growth and needs. 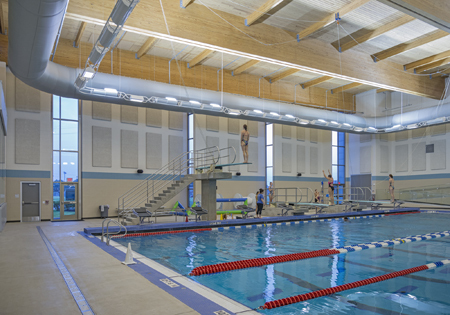 PBK Sports, the lead architect for this natatorium project, looked to Counsilman-Hunsaker to support the team with their aquatic design expertise.